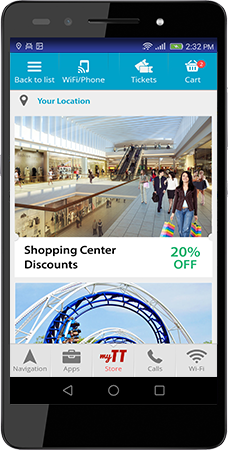 TravelTab Store offers you exclusive discounts on attractions, shopping and dining. Who knew navigation would take you on a road to savings? When you rent a TravelTab you get exclusive access to deep discounts on all the great things to do in your destination. Our safe, simple and easy to use store can help save you time and money.